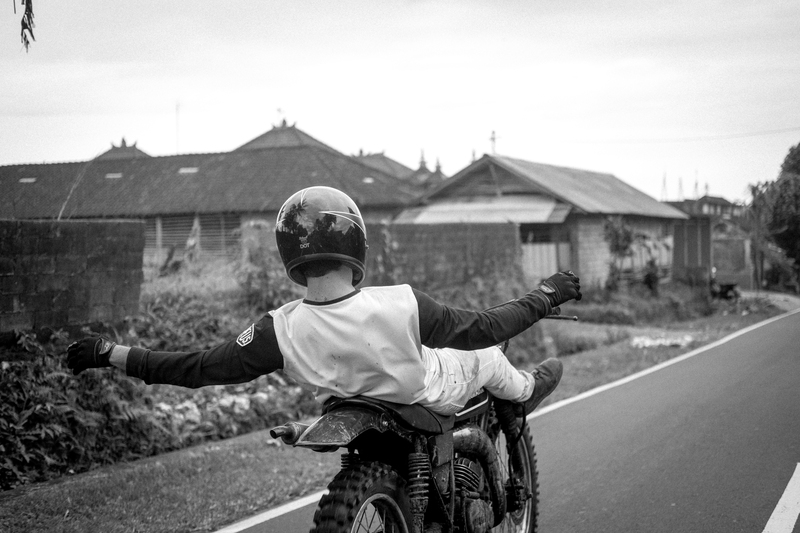 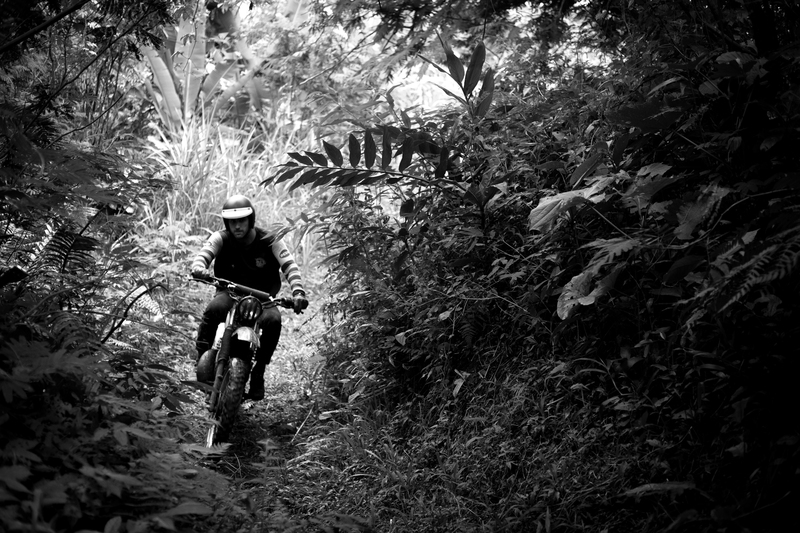 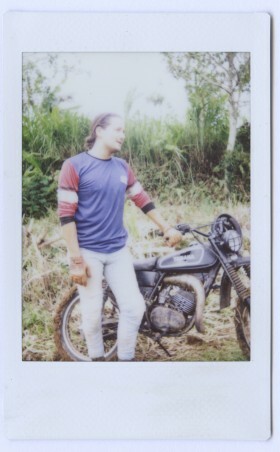 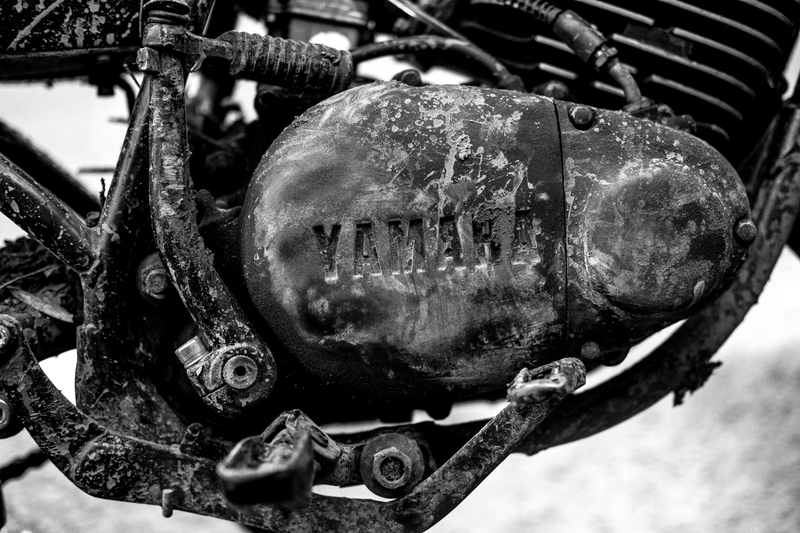 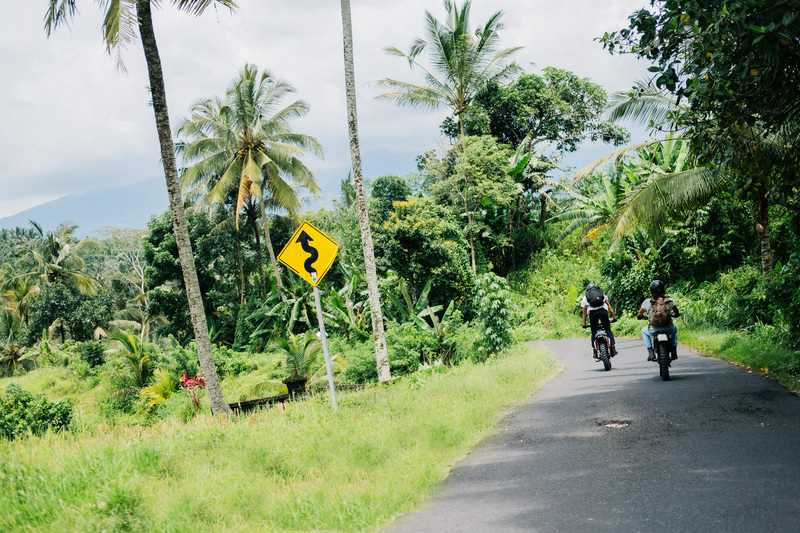 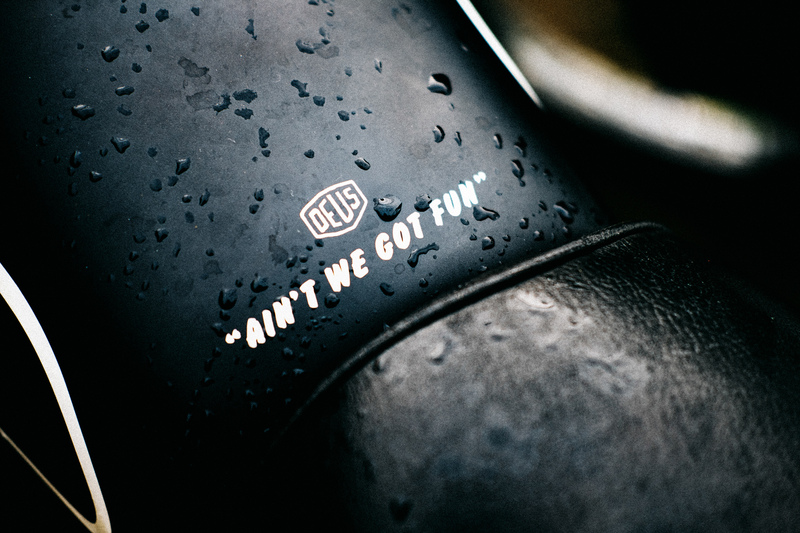 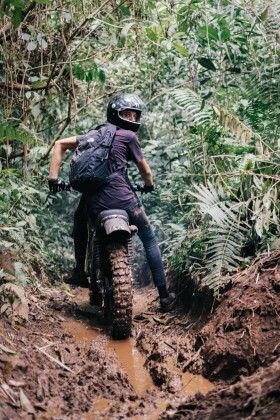 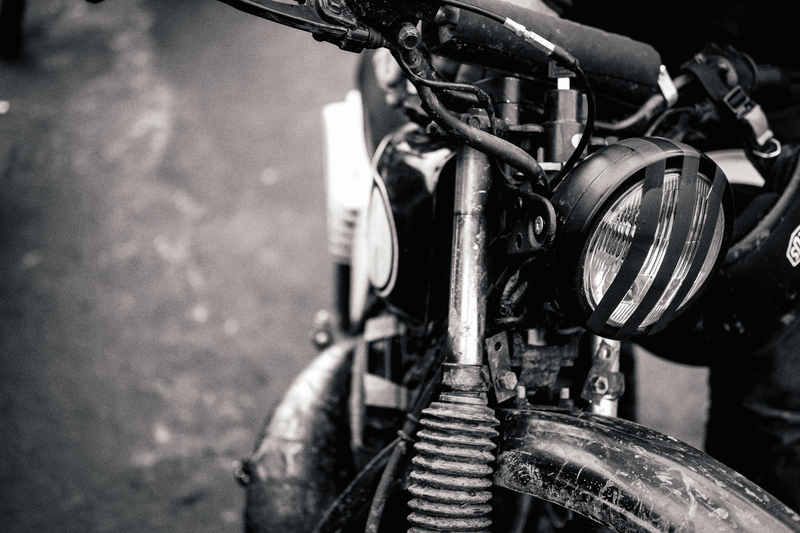 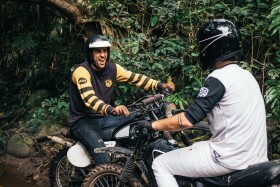 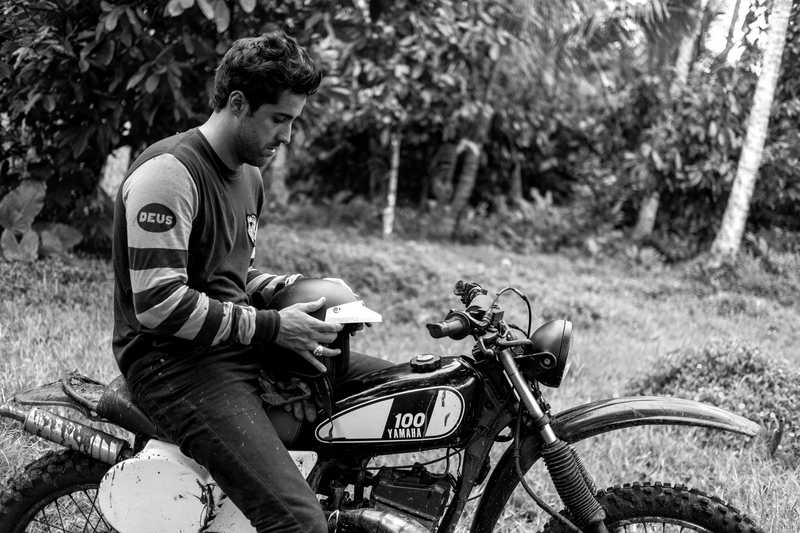 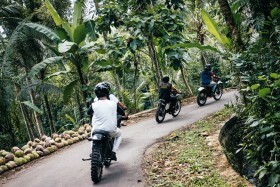 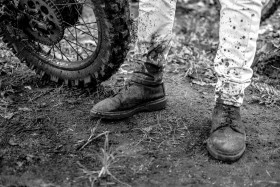 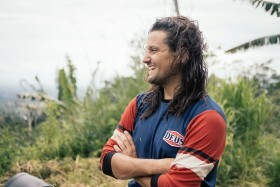 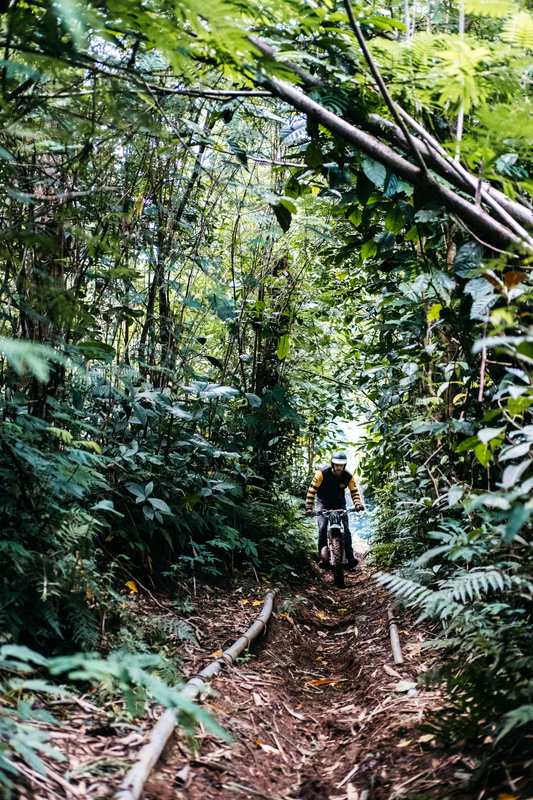 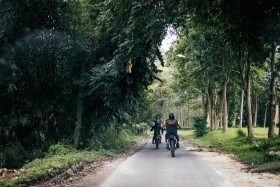 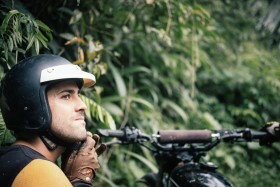 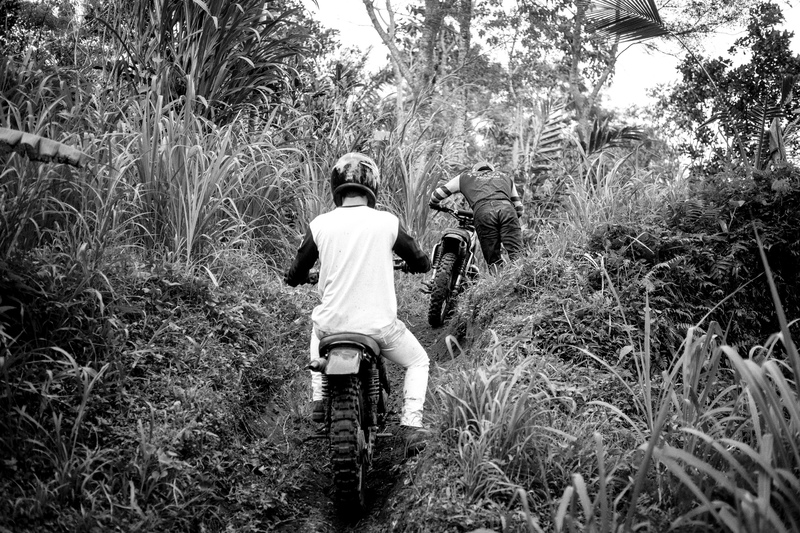 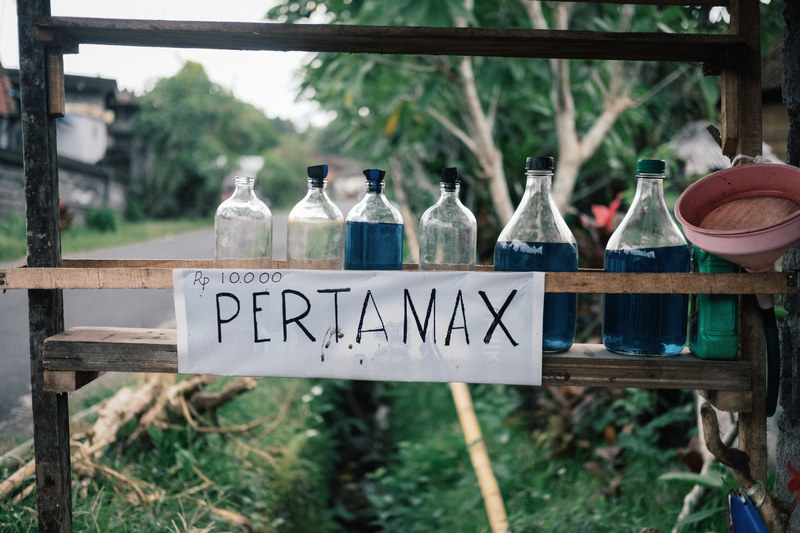 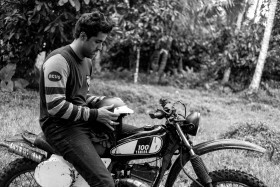 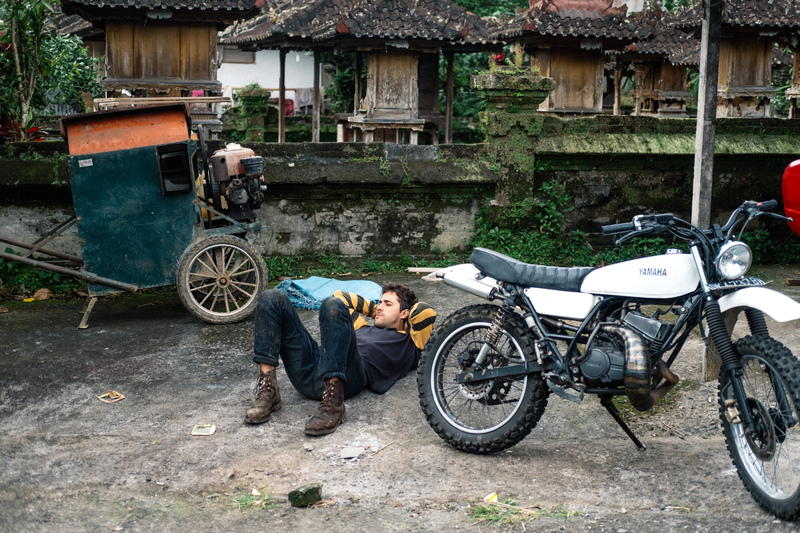 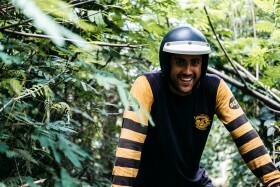 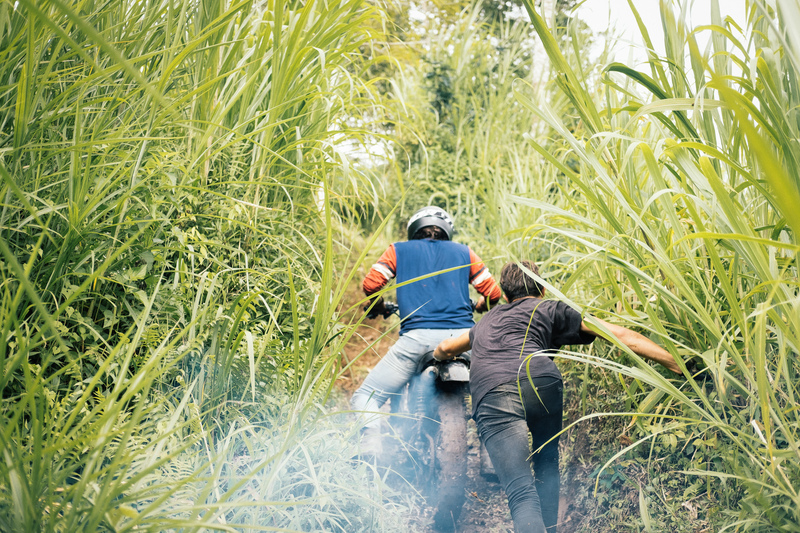 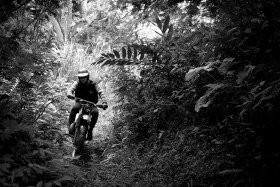 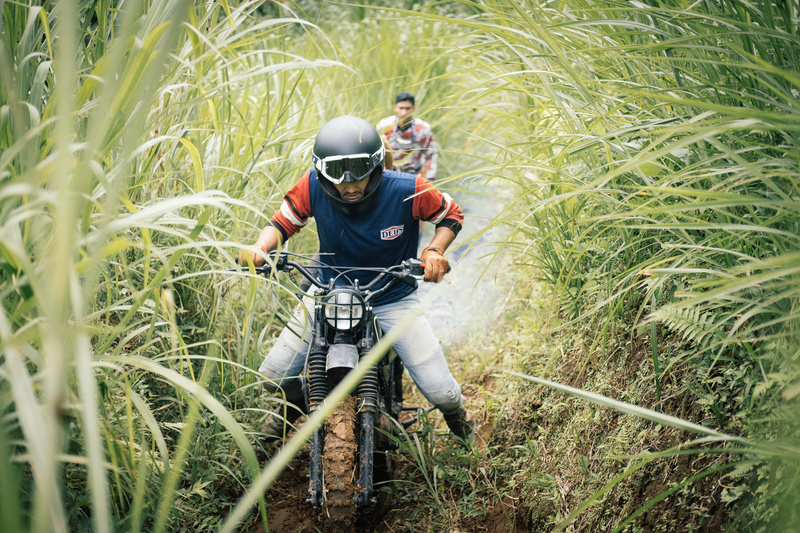 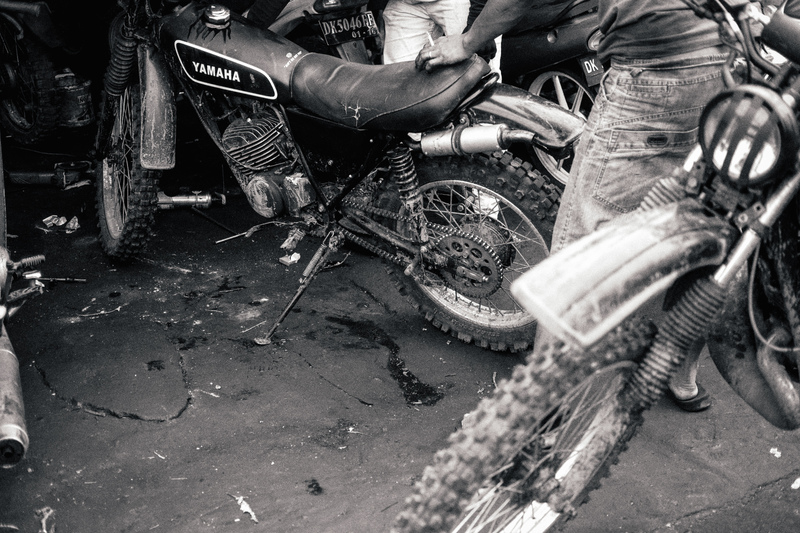 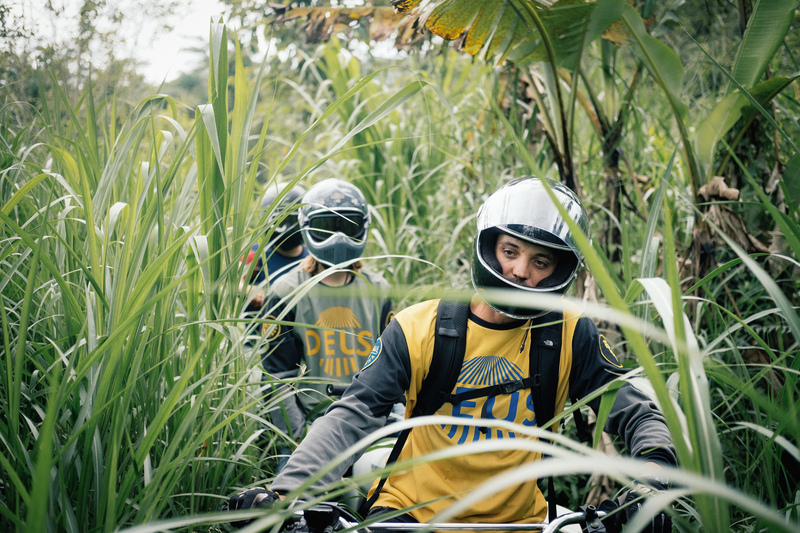 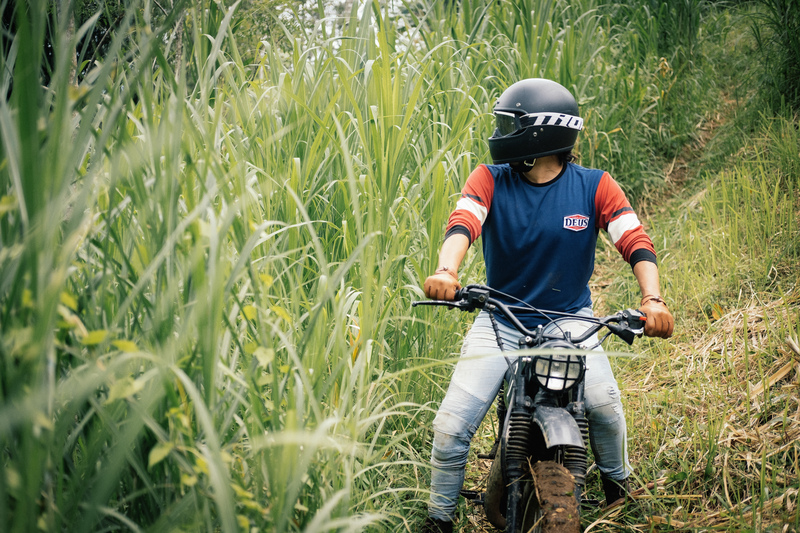 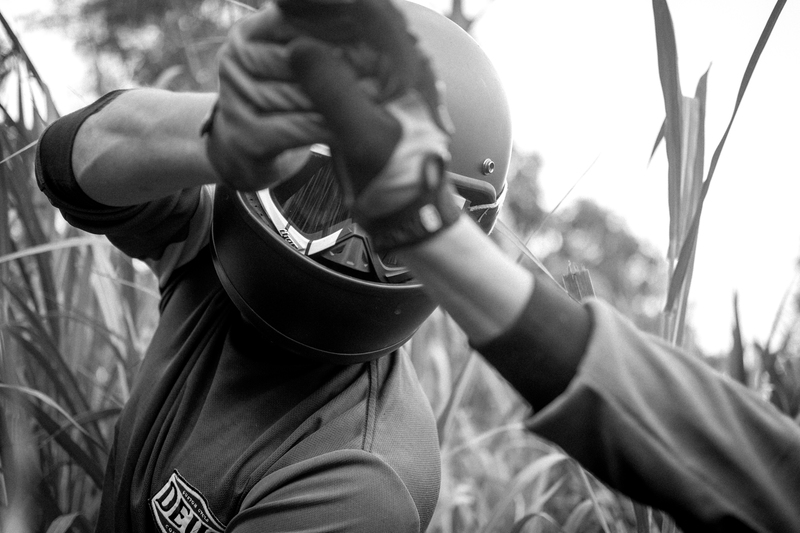 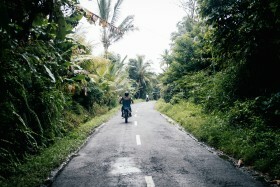 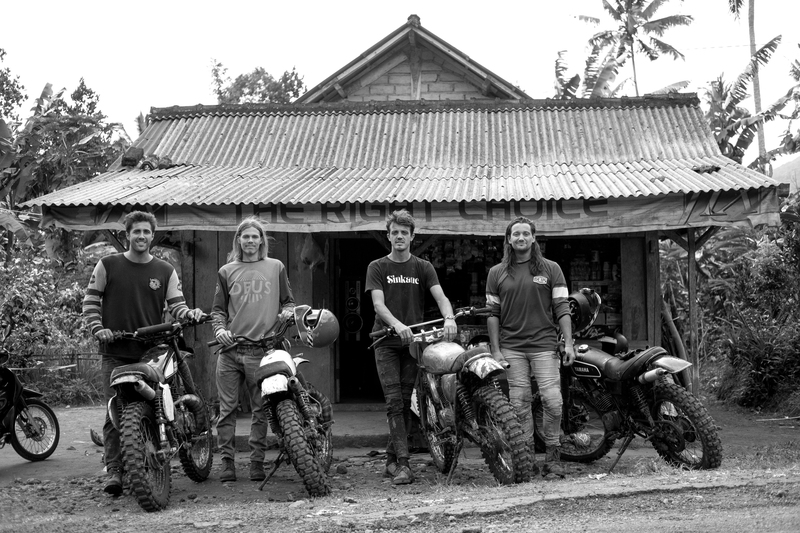 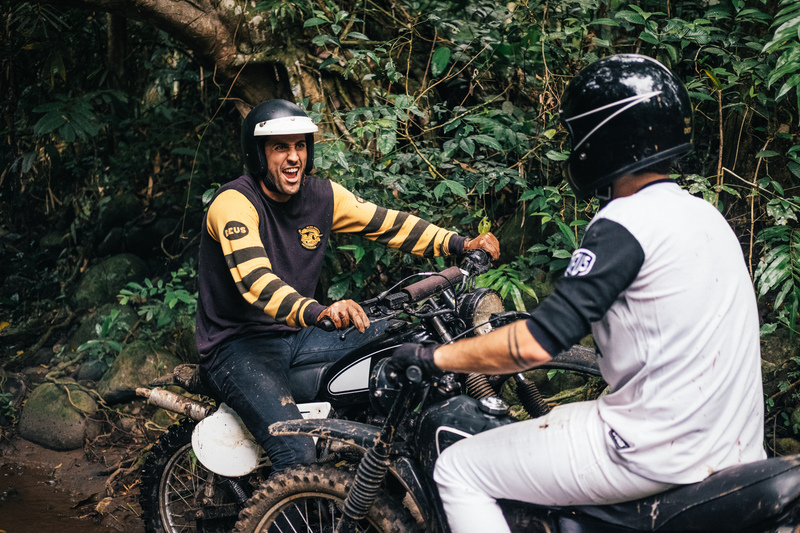 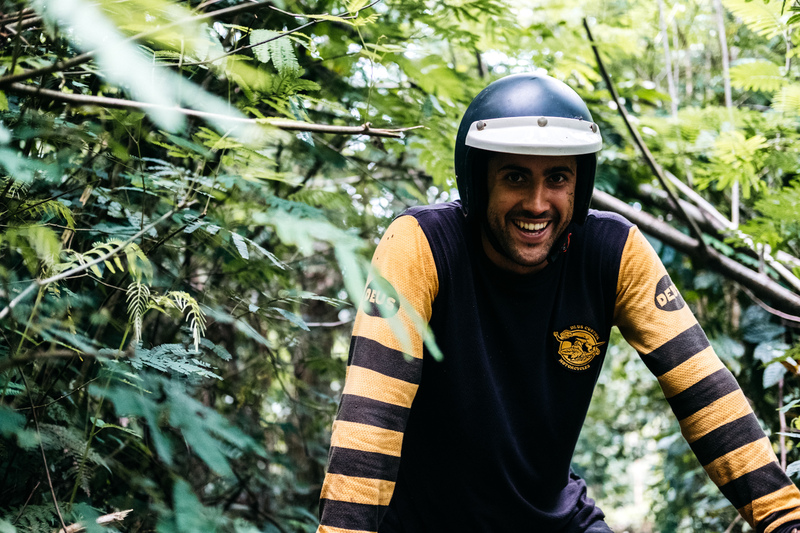 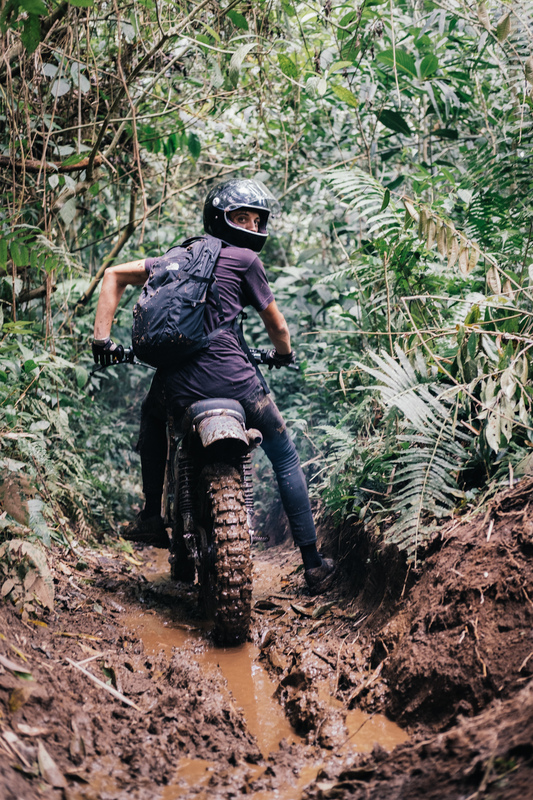 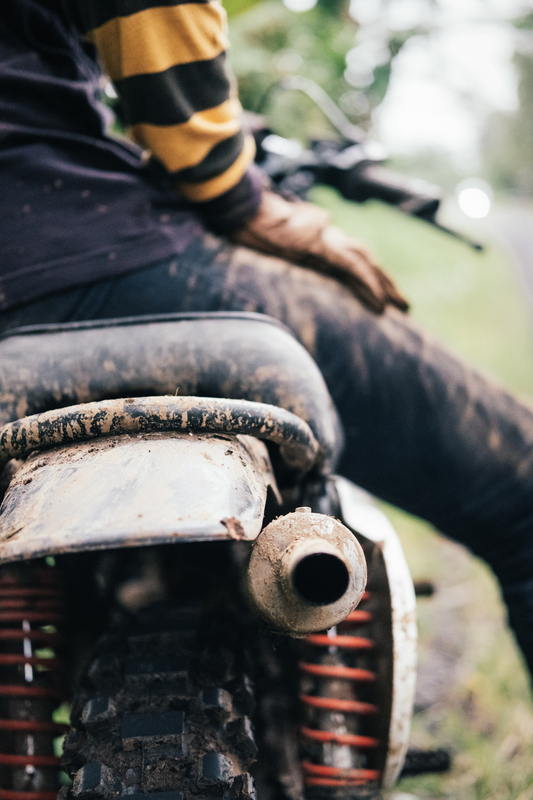 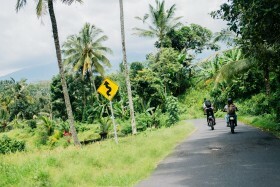 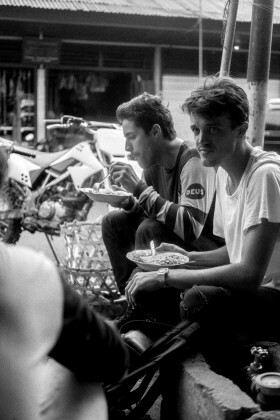 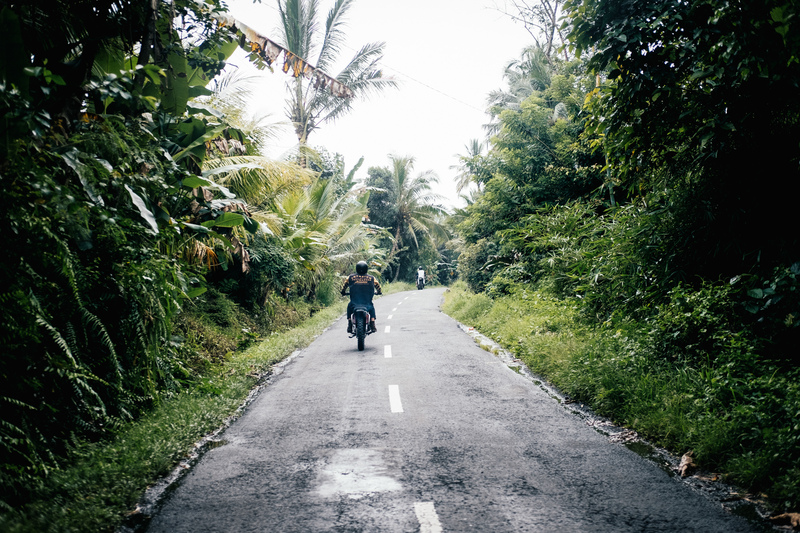 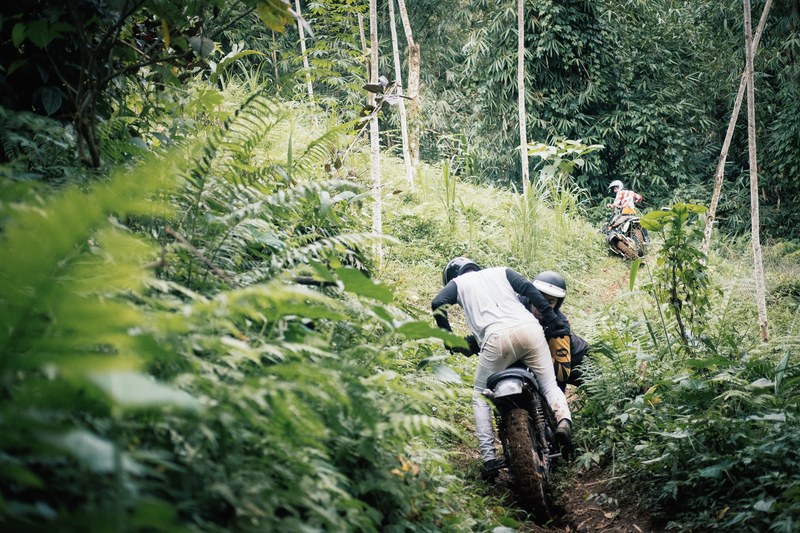 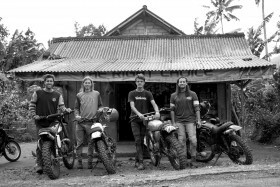 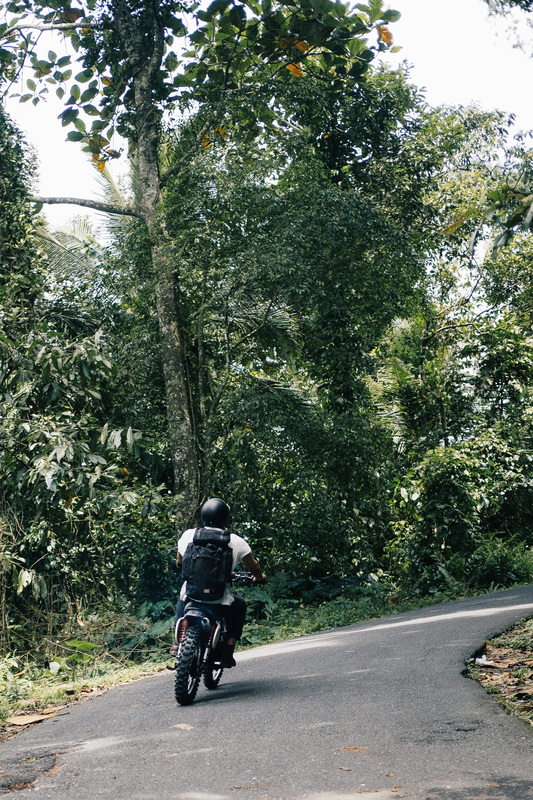 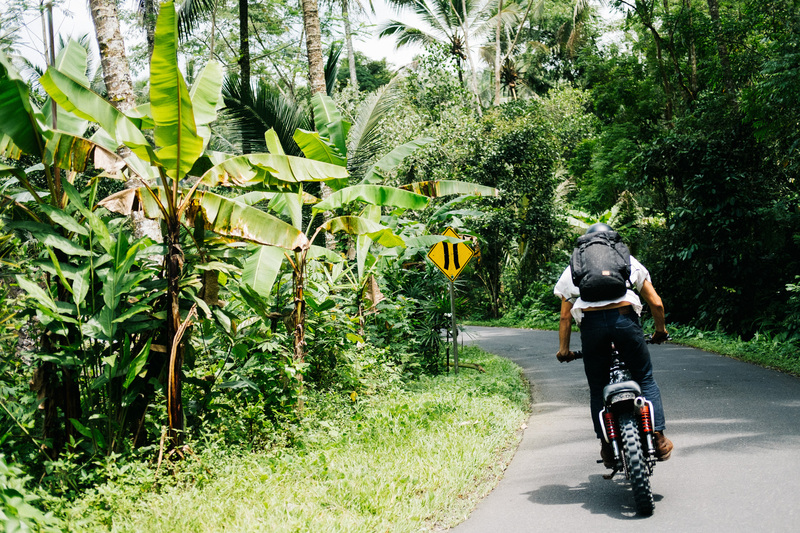 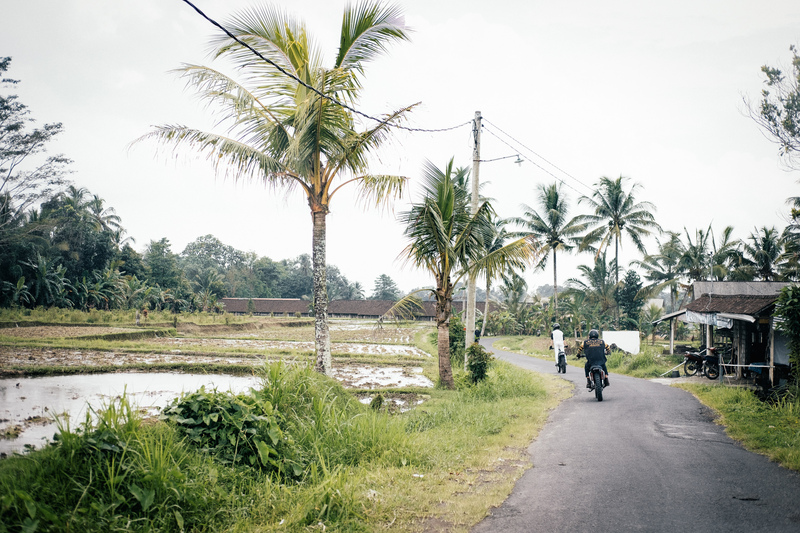 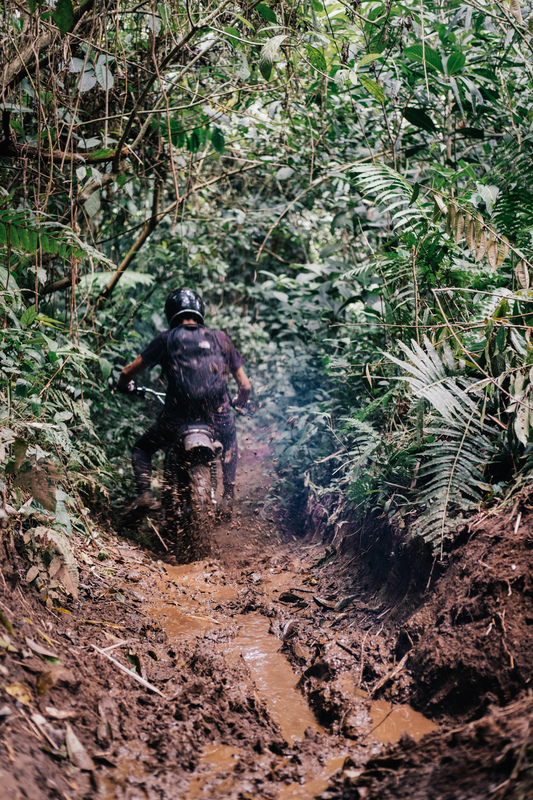 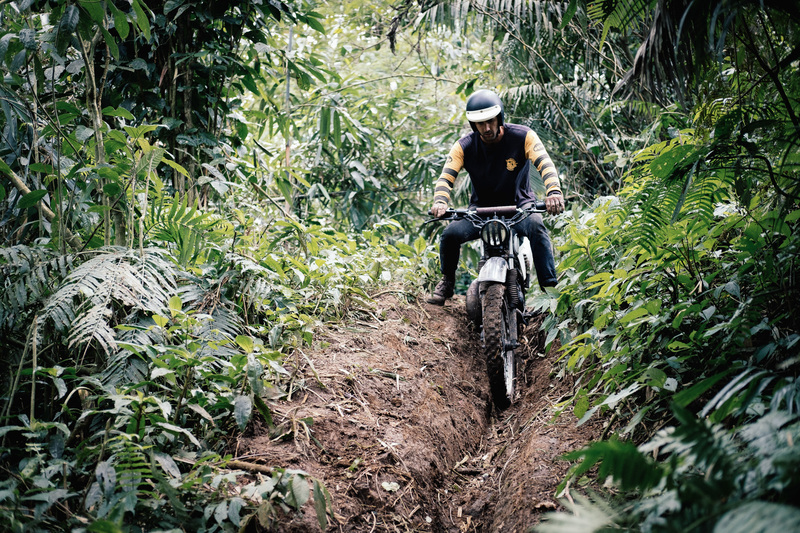 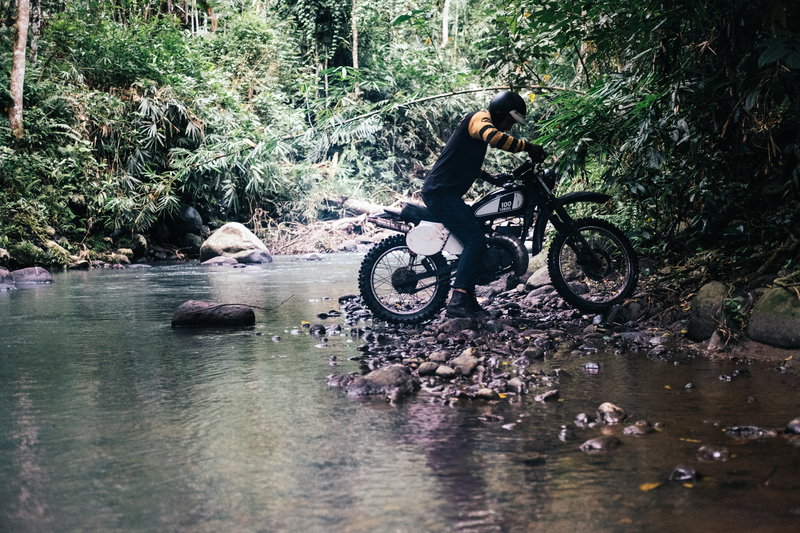 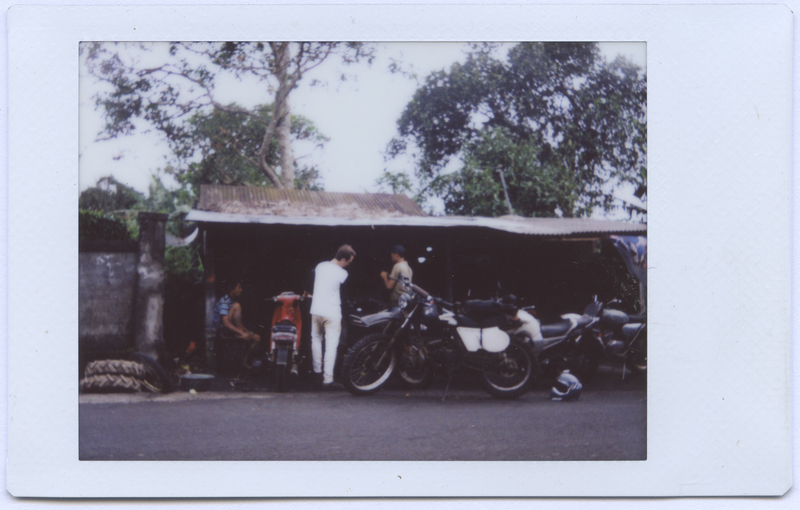 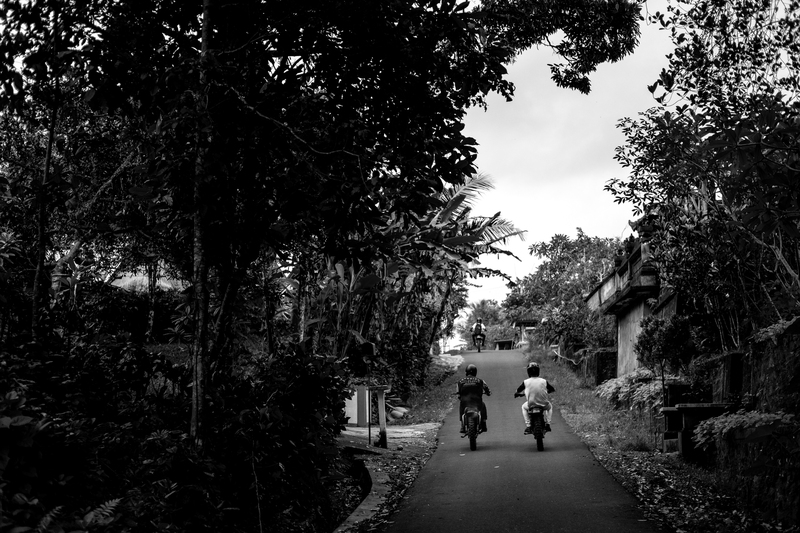 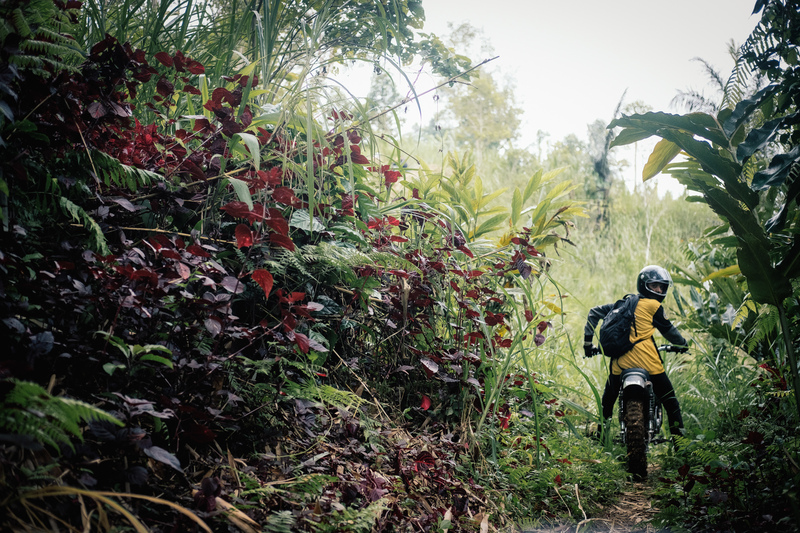 It’s been a long & wet few months over here in Bali, so when a few of the Deus family members decided to dust off the vintage bikes and head up to the hills in search of some trails, we couldn’t possibly say no… To a man we were itching to head out into the fertile valleys of Bali. 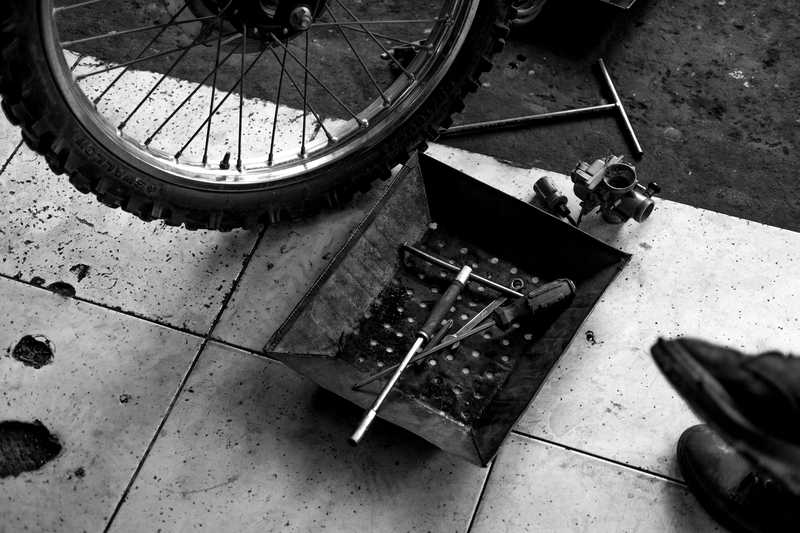 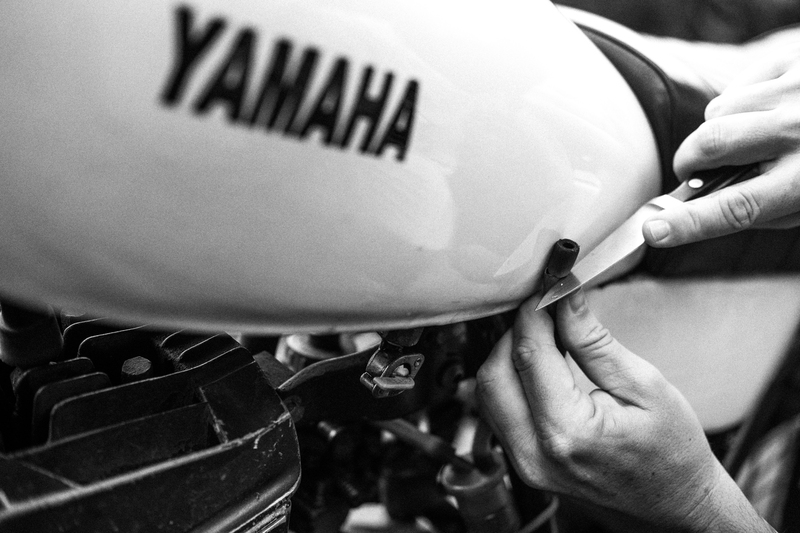 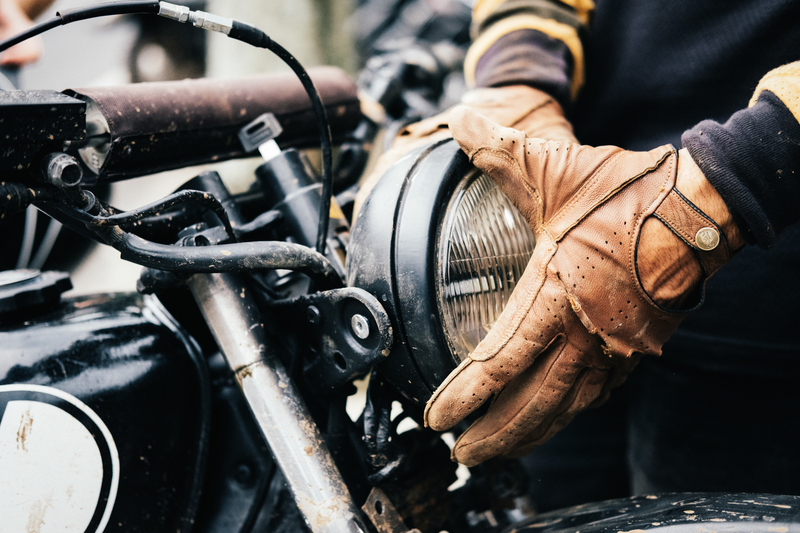 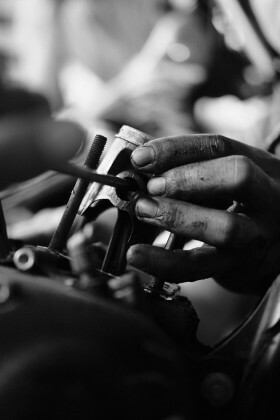 Whiling away the wet season, Thomas has been busy during the sodden months restoring his DT inspired RXS 135 – 2 stroke, he tightened the last bolt on the Wednesday night prior. 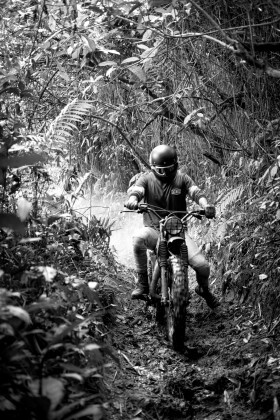 It was time to take her on a maiden voyage. 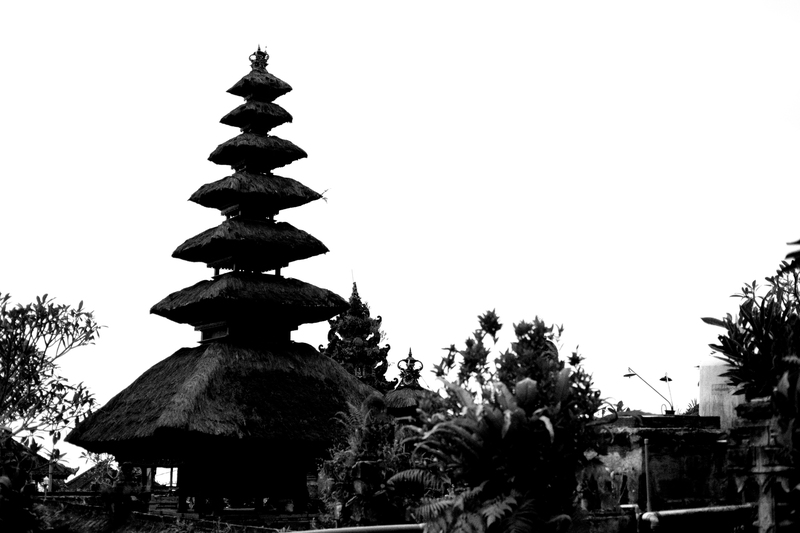 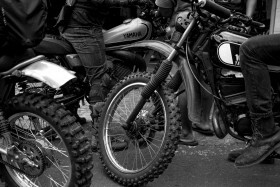 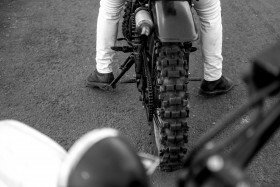 We mustered early Saturday morning at the Deus Temple in Canggu, where the rest of the fleet was prepped and ready to roll. 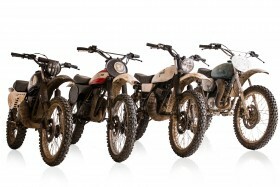 We keep a little fleet of two strokes for just these occasions. 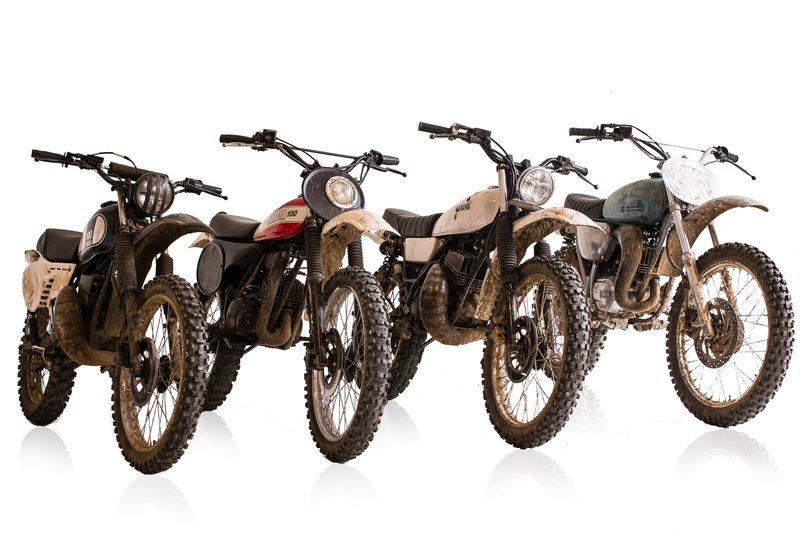 There’s the Deus YT, all pimped and prettied up with new alloy fenders, two DT’s, and another RXS. 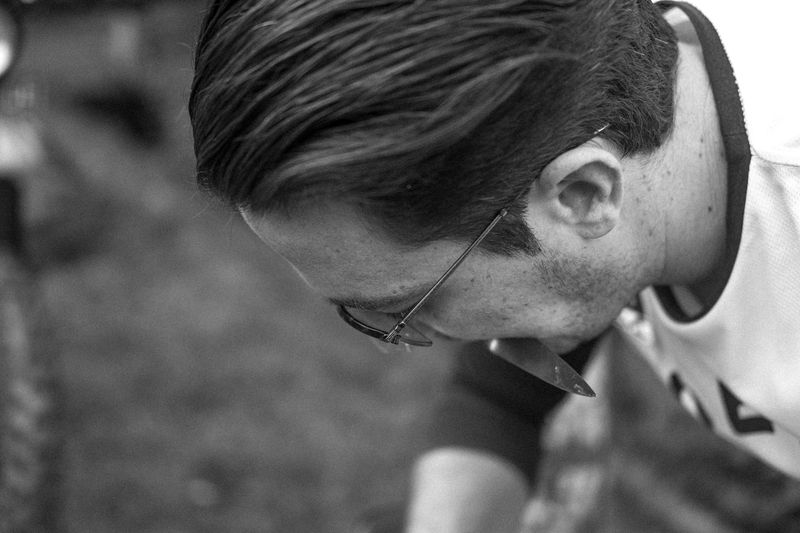 Some last minute tinkering and tweaking had to happen during which time we fuelled both men and machines and in the still morning light we lit out for our weekend ride. 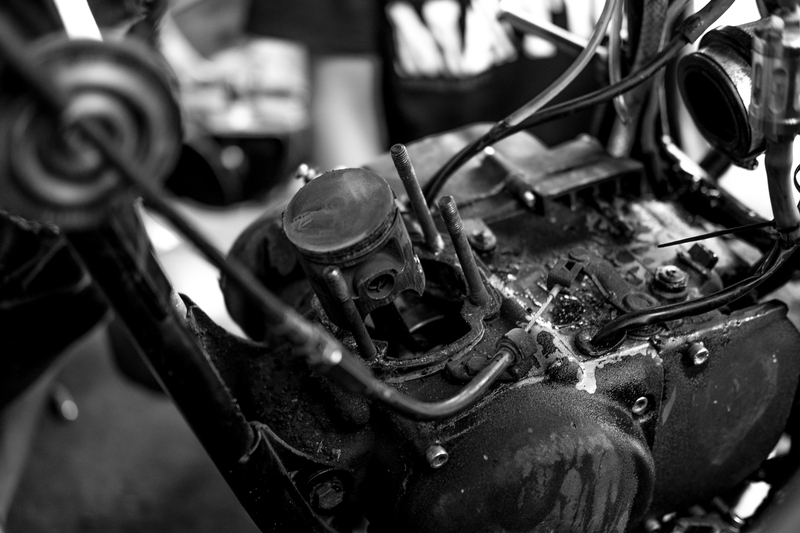 We hadn’t clicked over 20 K’s when the DT blew its piston. Normally this is a tipping point moment and I suppose it was for us but in a good way. 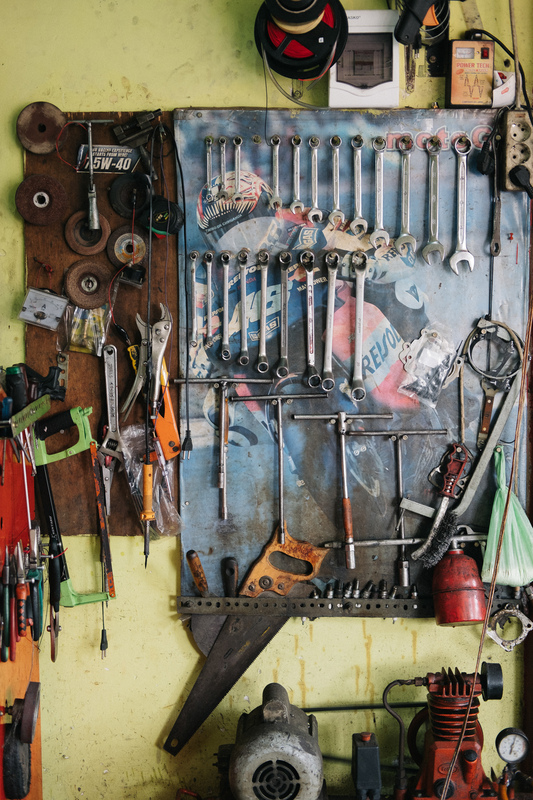 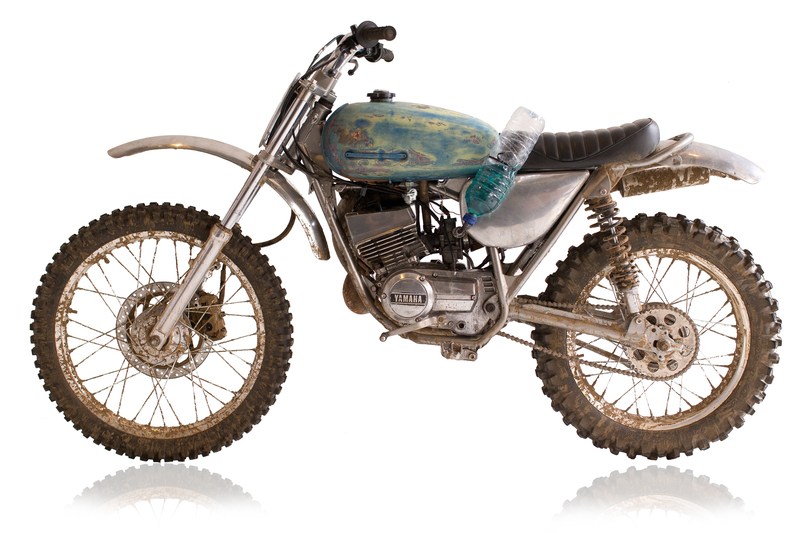 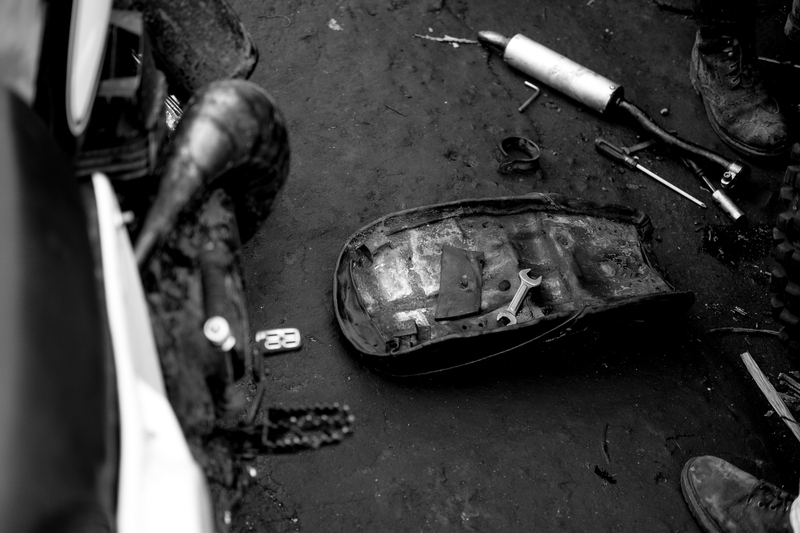 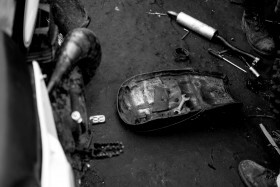 We stumbled upon a little two stroke sanctuary where we could buy new parts and they’d whack ‘em in, no time at all, I couldn’t help but feel it was fate. Not only to get going again but for us to really find out what goes on inside the fragile metal shells. 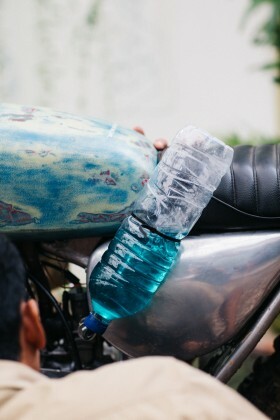 Fifteen dollars later we kicked it over and it spluttered back to life. 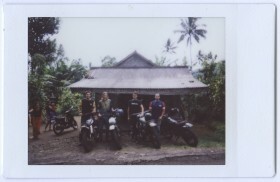 Thomas was on his RXS, Harry was on the other RXZ, Tom & Jack were across the two DT’s, and Van was on the YT, so we were five bikes heading out, though later became six, picking up our good friend Pak Wawan on his DT. 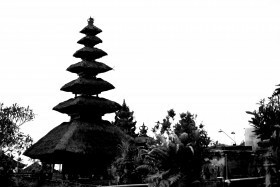 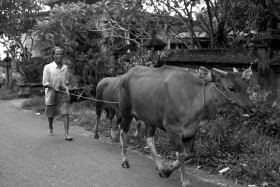 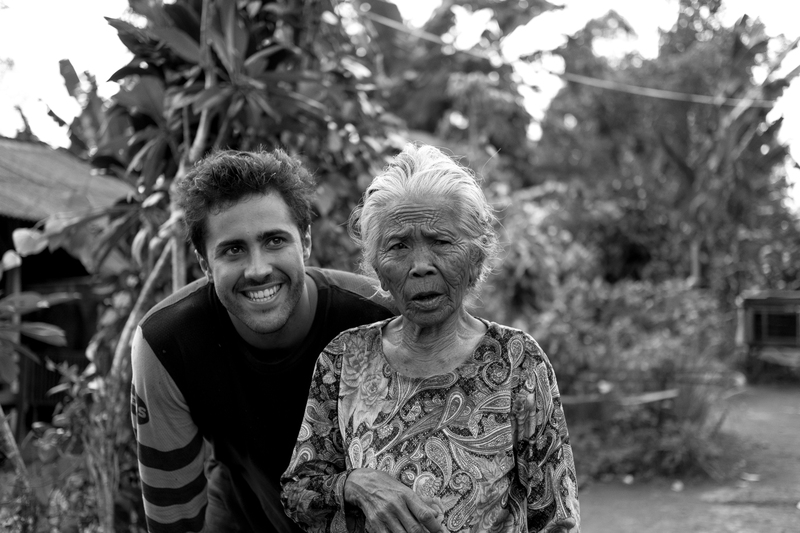 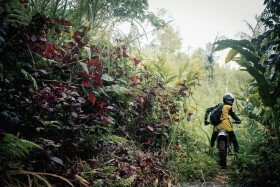 He lives up in the hills of Jati Luwih, a more picturesque spot you would be hard pushed to find. 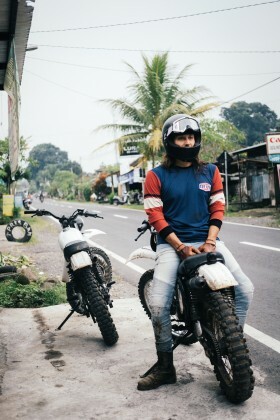 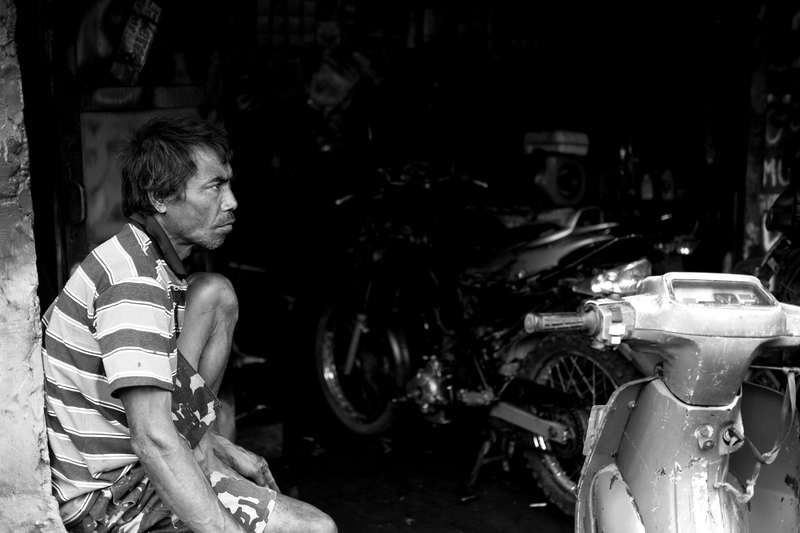 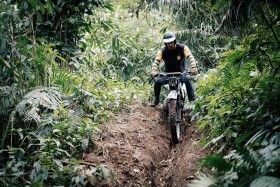 Pak Wawan, is a wild spirited individual originally from Java. 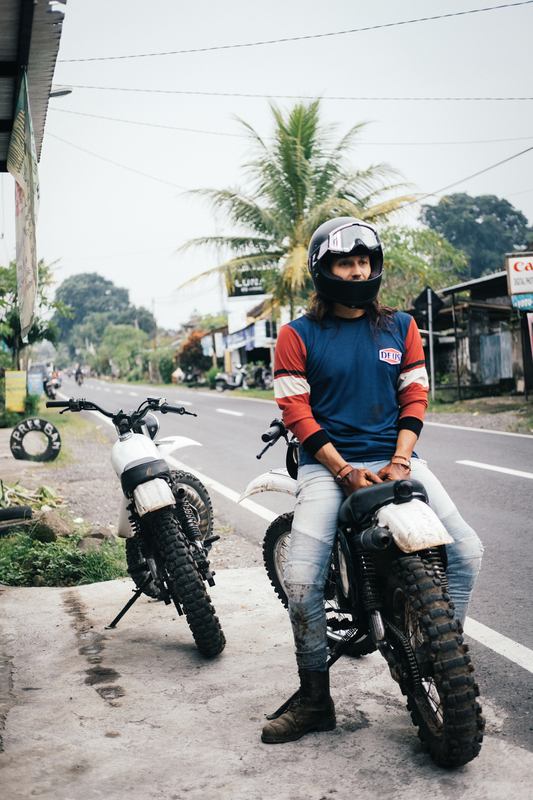 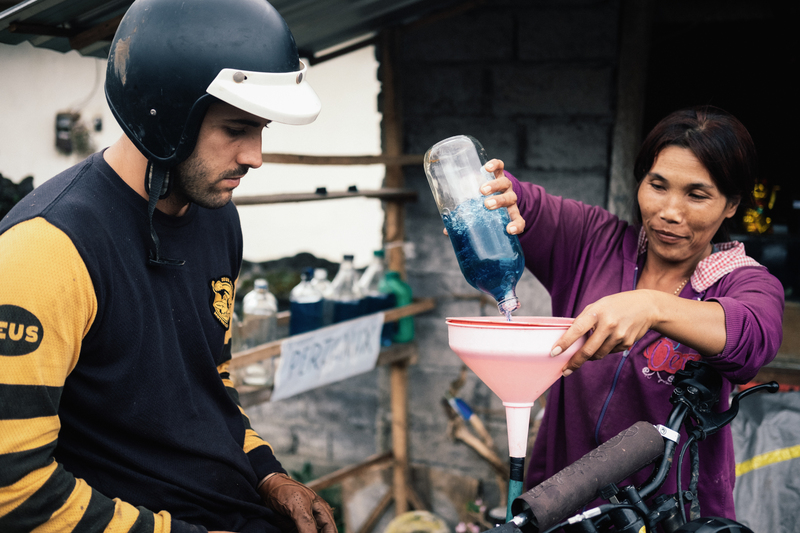 Once he was counted amongst the top riders of Indonesian Moto X and as he passes the sixty milestone shows little to no sign of slowing down. 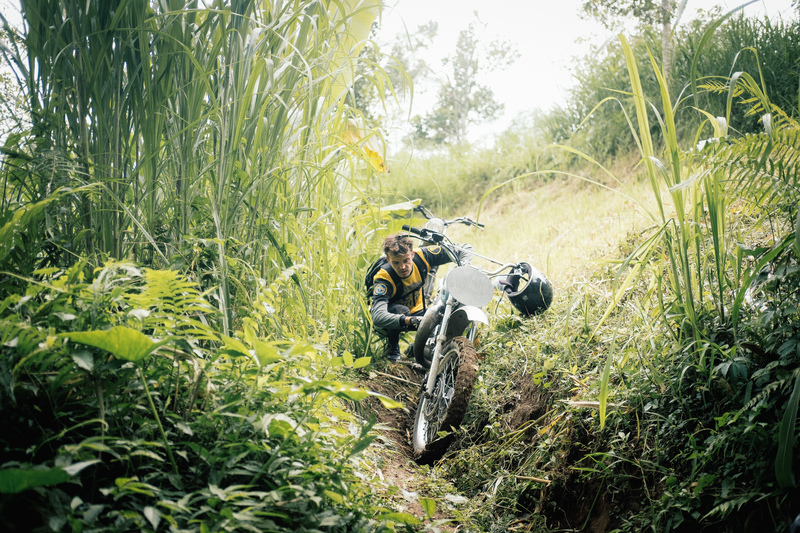 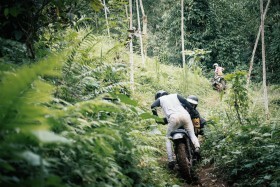 The daredevil spirit runs deep in this one and we found when we waned, stopping for a fix of strong mountain coffee to raise our energy levels, he would be off somewhere in the bushes pulling wheelies and otherwise skylarking about. 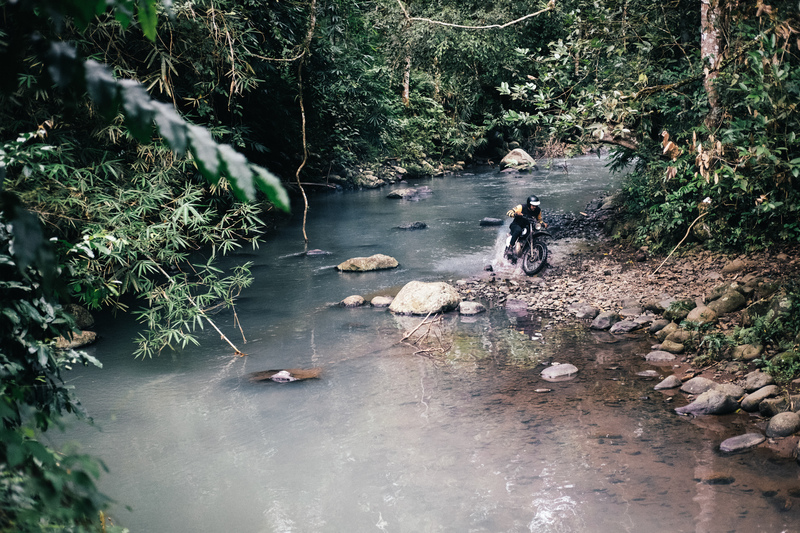 After dumped our gear at the remote lodgings we’d lined up for the night, we set off with a much-lightened load in search of unknown trails, mostly dead ends until we happened upon one of the local mountain lads who decided we needed him as a guide. 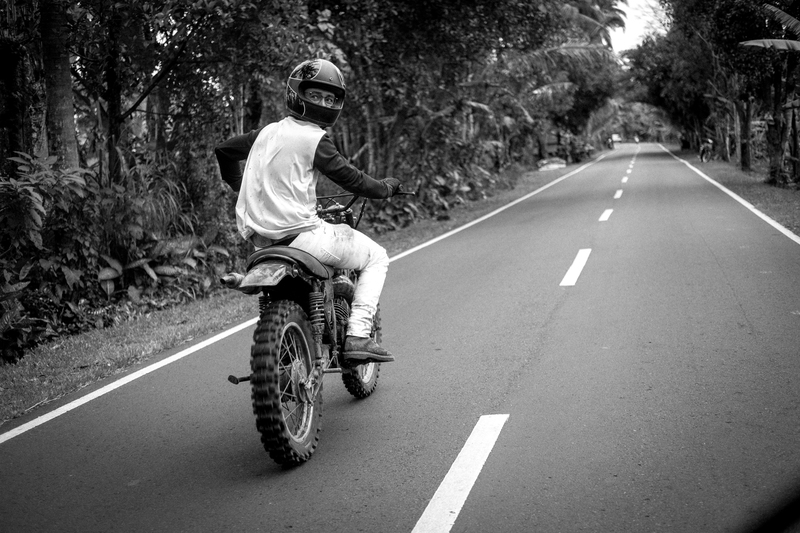 He donned his gear and set off at a pace where we had a merry chase on our hands. 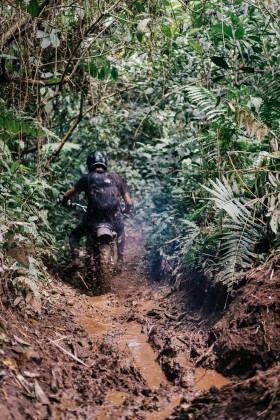 The jungle closed in throwing more than a few questionable decisions & steep hill climbs into our path before cresting a hill and happening upon our own private nirvana. 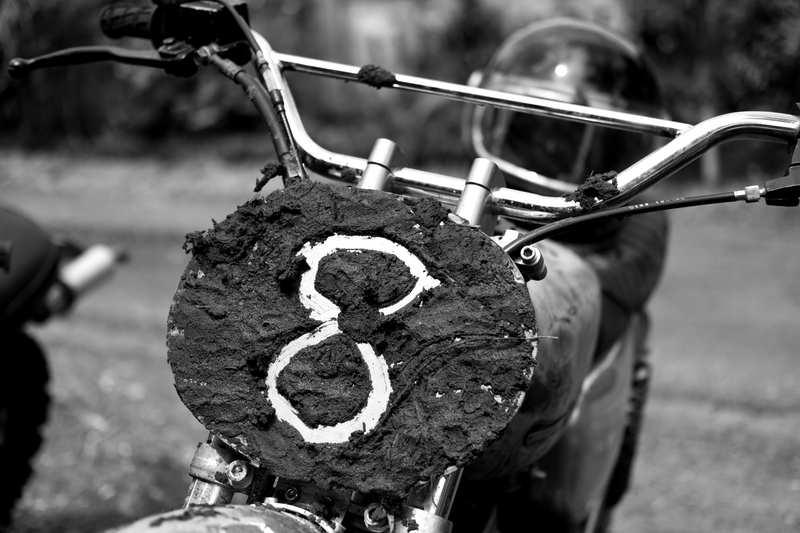 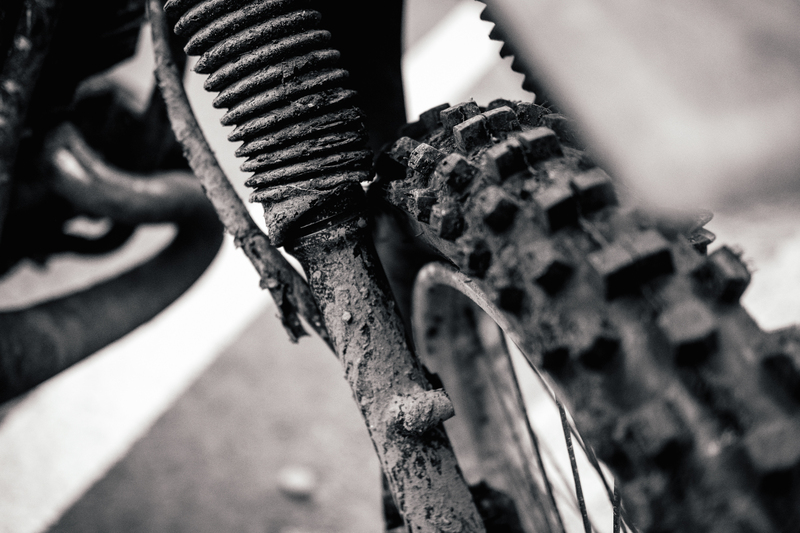 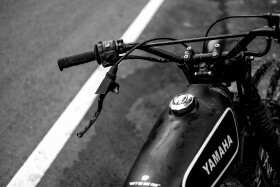 The thundering sound of six two strokes ripping through the woods is not something ever to be forgotten, we left fresh lines through foot paths & sections of livestock tracks barely wide enough to pass. For us it was perfect. We reluctantly returned to our digs after a long day in the saddle. 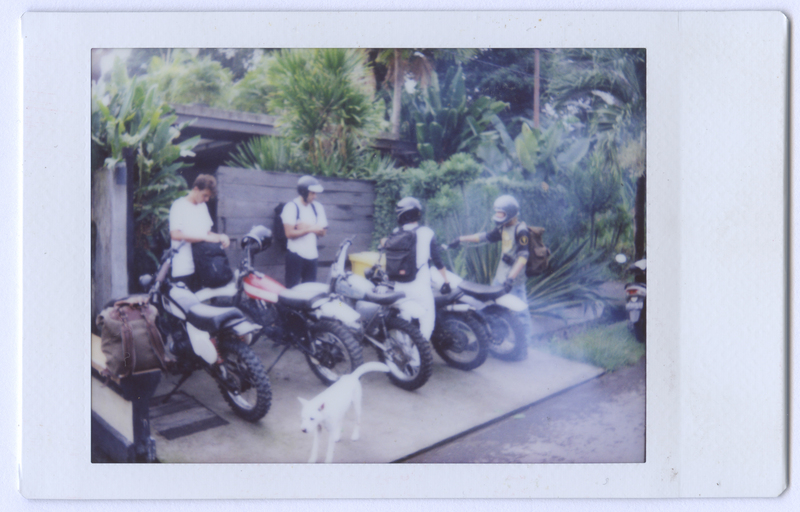 We split the night with shared stories from the day, laughing into the early hours, sleep came easily and with the morning light, we were up, and ready to do it all again. 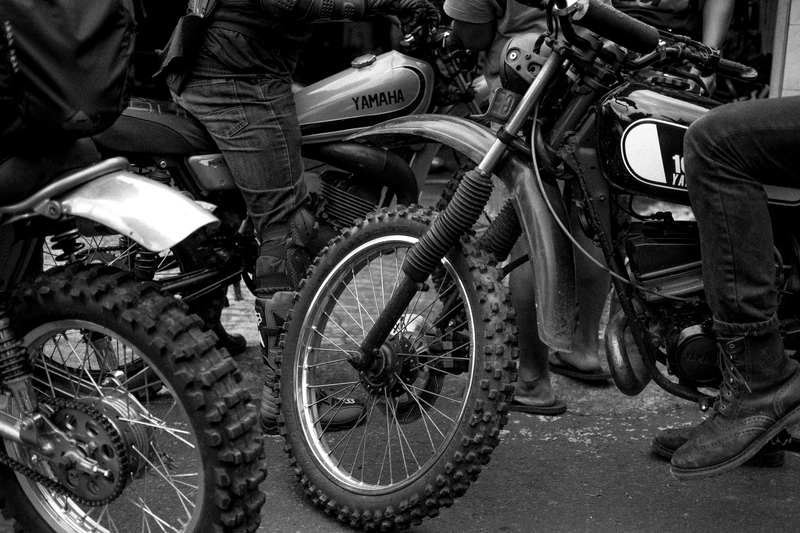 The bikes, for the most part, held up great. 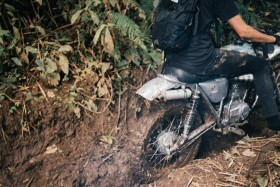 We had a few minor problems but they became only lessons learnt. 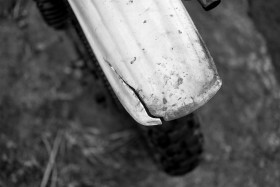 Note to self: don’t ever leave the house without electrical tape.